Although costly, I love that I have so much variety when it comes to how I choose to wear my hair. There’s nothing wrong with a bald man – ask The Rock and Vin Diesel – those men are fine! But ask yourself ladies, would you be bold enough to go bald? Not just for a few months but forever? Not even a wig to throw on in the winter months? So it shouldn’t be a surprise that Robert Jenkins began to worry when he started balding at only 21. 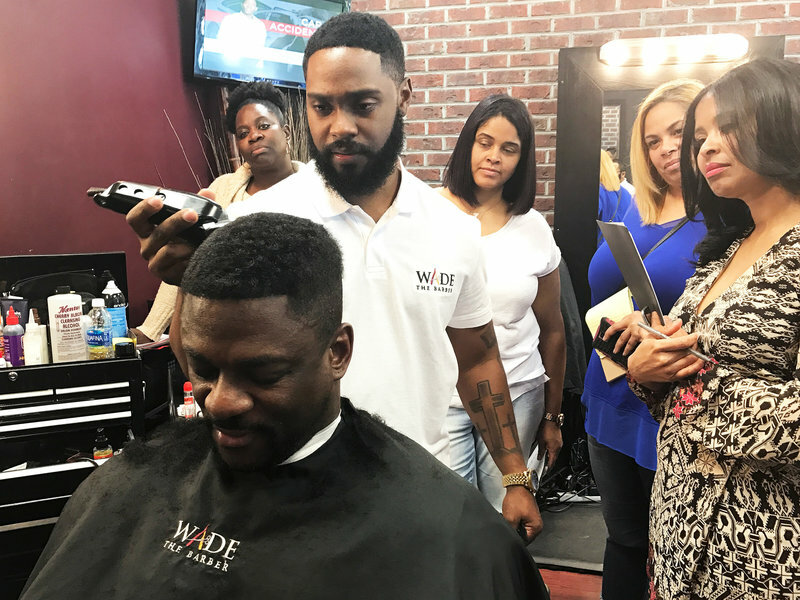 But that all changed when Richard and his wife stumbled upon Wade the Barber on Instagram. 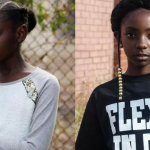 At the time Wade Menendez was trending on social media after his videos on installing “man weaves” went viral. Luckily for Jenkins, Menendez’s barber salon The W Hair Loft was located less than 20 minutes’ drive away. Just like women, Jenkins was worried about whether it would look natural and if his other half would like it. “She absolutely loved it,” he says. Jenkins has since had the man weave installed four times. “Because I did not think that this would be possible at all.” Jenkins says. 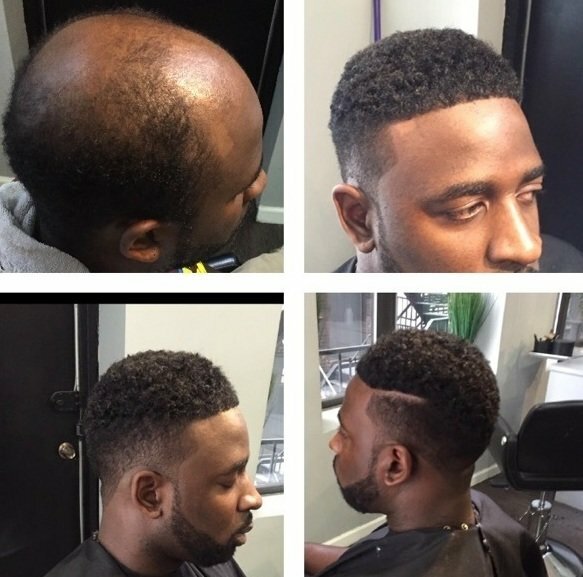 A single installation of a man weave, including special custom made hair units, can cost from $275 to $800. The man behind the technique Wade Menendez, 34, has been a barber since 2004 and began installing man weaves about two years ago. 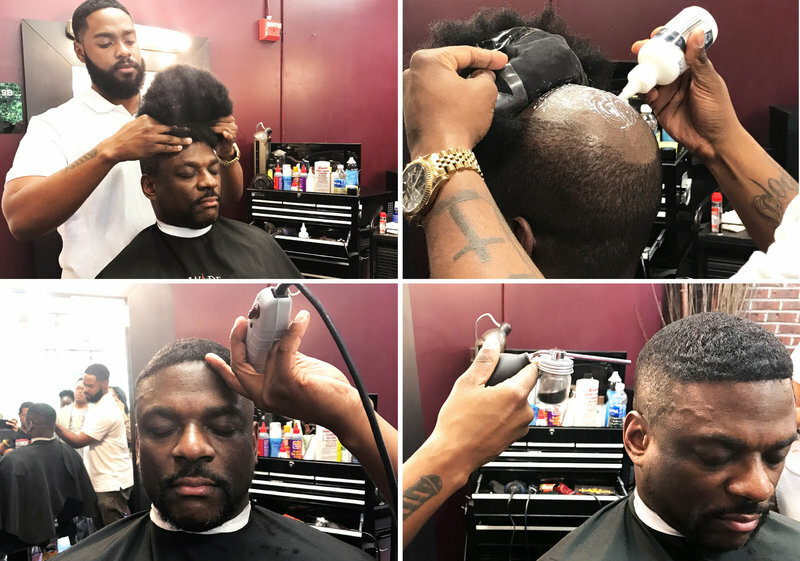 His initially spent about $1,500 a month purchasing man weaves, doing just a few clients weekly. Now, he says he spends $16,000 to $18,000 monthly because of his increasing number of clients. Business has got so crazy he dedicates his Tuesdays and most nights solely to man weaves. Menendez says he has clients who fly to see him in Maryland from various different states. He even has clients who come from abroad. One client sees him almost monthly from St. Lucia and just recently, he got a new client from London. He even teaches classes on how to install a male hair unit as the trade is still fairly new. Each man weave takes Menendez 90 minutes to two hours to install. A full hair unit is attached to the client’s head using an adhesive and then styled. In addition to man weaves, Menendez also installs beards for men who cannot grow one to their liking. These beards will cost a client a cool $700. Menendez has also used his technique to help the less fortunate. He has reached out to cancer support groups and other community organizations who many benefit from his service. “I live a blessed life and I’m going to continue to do so because I help to bless those [people],” he says. Next article Mom Spends $25,000 On Exotic Cars, Three Tons Of Sand And A Camel For Her Son’s Dubai-Themed Prom! Do you hair weave for women, I have a small bald spot on top of my head. Please reply. 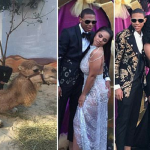 Mom Spends $25,000 On Exotic Cars, Three Tons Of Sand And A Camel For Her Son’s Dubai-Themed Prom!